Although the human species has progressed and evolved over centuries in the form of technological developments, however, there are some issues of conscious, unconscious or metaphysics that have been there from day one and that continue to haunt the human race at present as well. One of the such renowned questions is the question of human existence. Philosophers and thinkers throughout the world have been debating on the issue of human existence. They want to know or the debate on the reasons that how humans exist and the purpose they have associated with their existence. To answer these questions some take the route of philosophy while there are others who take the route of science. However, there is a third type as well, that tries to answer this question in the light of religion. Islam like all other religions also addresses the what and why of human existence as well. The point of view that Islam gives pertaining to human existence is quite different from other religions where in some there is no purpose for human existence, or if there is any, it is beyond human comprehension. The lines below discuss the view of Islam pertaining to human existence in the light of Quran. The reason why Muslims have a better shot at knowing and understanding the reason behind human existence is the fact that Allah Almighty has bestowed them with Quran which contains all the guidelines pertaining to all the walks of life. It is by reading Quran that the humans can find answer to the question of how they came into being and what is there purpose on this earth and in this life. The lines below try to discuss this question. From the ayah it is clear that when Allah Almighty made the souls of all the humans, the first thing He did was to take an oath from all the human race in which they testified to His Lordship. This oath shows the fact that all the humans were made aware of the fact that Allah is their Lord and they ought to remember it. The things change for people when they come to this earth where they are given freedom of will. Thus, some people don’t turn towards Him and will give different excuses for this act of theirs on the day of Judgment. What this ayah and the acts of people in during the oath and when they come to this earth gives the prime purpose of human existence in Islam i.e. knowing the Lord or identifying Him is the primary objective of human existence. There are two types of people in this world who can know the Lord in two different ways. Those who are born in some household where they have no knowledge about the Truth and Allah Almighty, the humans of that house hold have the objective of going out in search of Truth. They need to ponder over the creation of this universe, the way it runs, the way all the nature is in extremely coherent all point to the fact that there is some Lord who takes care and governs all this system. Thus, those who aren’t familiar with the Truth, they need to search for that and make it a purpose of life to know the Truth which is Allah Almighty. On the other hand, those who are Muslims and who have got the religion Islam in inheritance from the parents, for them the purpose of life is not fulfilled with their birth on the religion Islam, rather they also have to know their Lord and develop a closer relationship with Him. For a Muslim all the details of what he or she ought to do in order to grow closer to Him and be among one of the blessed ones are mentioned in Quran. 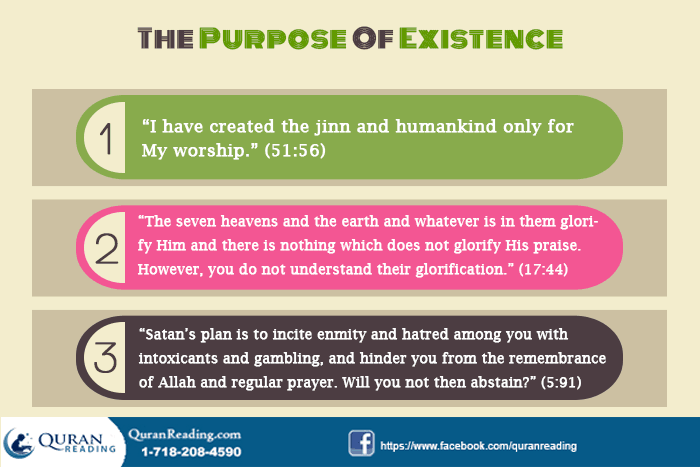 From the ayah it is clear that the creation of humans as well as jinns is for the purpose of worshiping Allah Almighty. When a Muslim worships Allah Almighty, he or she actually accepts His Lordship which is the same as they did on the oath that was taken before their birth. Thus, the more a Muslim worships Allah the more closer to Him he or she gets and the meaning to existence starts surfacing. Therefore indulging in glorification of Allah Almighty for every element of awe and greatness one sees in this world is also a means of worshiping Him and by doing so one could develop a stronger relationship with Allah and grow closer to Him. Other than that, all the guidelines that Allah Almighty has mentioned in Quran, all are there for humans to follow in their lifetime. The better they are able to perform in accordance with those instructions, the more they will be able to grow closer to Allah Almighty. 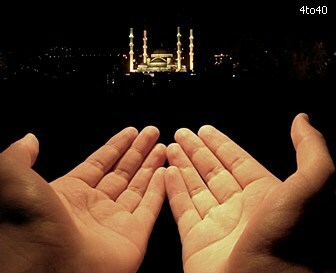 In this regard, in addition to offering prayer, a Muslim must also keep fast to purify the soul, give charity to purify the wealth and perform pilgrimage as a means of growing close to Allah Almighty. From the ayah it is clear that when humans will indulge in hatred of each other then they will definitely select hating others as a purpose of their life which will turn them from the true purpose and that is the remembrance of Allah. Therefore, in order to fulfill the purpose of knowing the Lord, a Muslim needs to refrain from evil in the same extent to which he or she is inclined towards doing good. 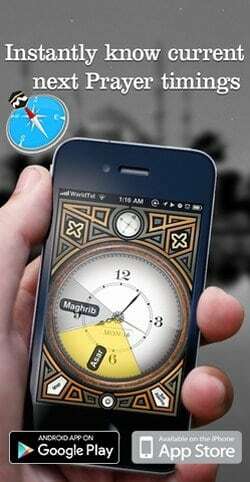 The true purpose (Allah knows best) of the existence of humans is to know their Lord. Quran in this regard is one of the best ways of knowing the ways in which a person can fulfill this purpose and give meaning to his or her life.